Water roses if there has not been sufficient rain or snowfall. Use a hose set at a slow trickle to ensure a deep soak. One gallon per bush for smaller plants and miniatures; increase the quantity of water as the size of the shrub increases. ○ Do not water if the ground is frozen. ○ Water only if the outside temperature is above freezing. ○ ​Water once or twice a month depending on precipitation amount. Check rose beds for pests. Mice, rats, and rabbits can do a lot of damage to the roots and canes of roses. Order new roses for spring delivery. Remove winter protection no earlier than April 7th (if the weather forecast is mild) or April 15th. 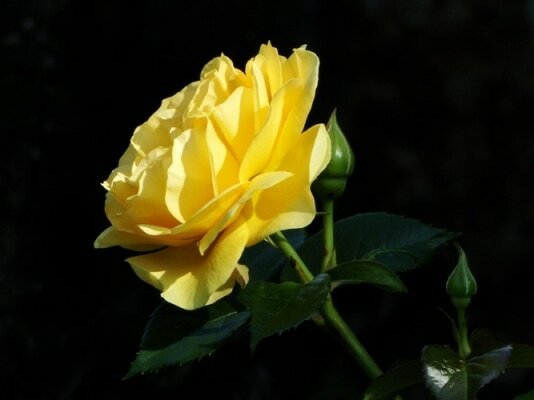 ○ Hybrid Teas – remove dead, diseased, damaged, crossing, and weak canes; prune back remaining canes to live wood, cutting about 1/4 inch above an outward growing bud and about 10 to 12 inches above the ground. 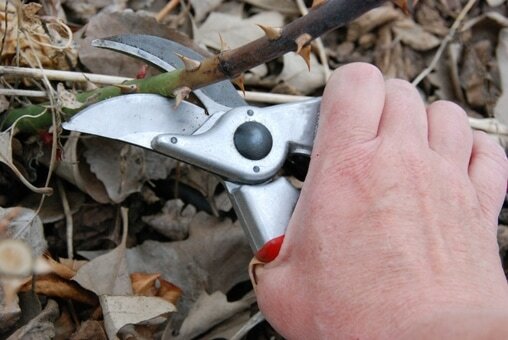 ○ Shrub Roses - remove dead, diseased, damaged, crossing, and weak canes; and prune lightly to shape.